ACTIVA Plus Clay is a premium clay with superior plasticity. This self-hardening, air dry clay is an ultra-fine grained versatile clay that achieves excellent detail. 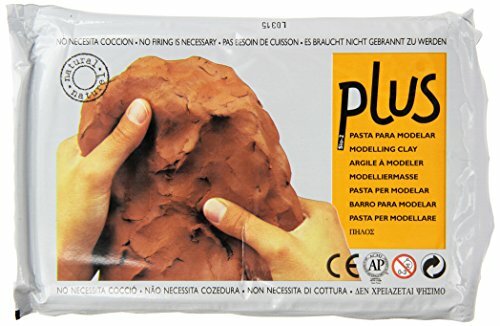 This sophisticated modeling clay is great for crafts, art projects, classroom and studio use. It is easily worked by hand or tool for the desired results. It cures to superior strength and durability with minimal shrinkage, ¼ inch will dry in about 24 hours. Plus Clay will not crumble when dry, and can be carved, sanded and drilled when cured. It can be kiln dried if desired and will accept any finish. It is safe, non-toxic and meets ASTM D4236. Available in White, Black and Terra Cotta.